I’m always excited by the whiteness of a vast canvas. With nothing suggested, it becomes the means by which thoughts and directions can begin to have a life of their own and manifest. There is space for something to be born into. Extrapolating that same brilliant white canvas into a three dimensional, fresh, white blank studio space is sometimes just what the doctor ordered. A space devoid of old work, piles of papers and the collections of years of work, even if it’s well set up, can cause creativity fatigue. Much like a mind cluttered with the happenings of the day, there is no space for creation. No room for ideas to manifest. No clarity possible. No hope when stuff just builds up. Today, I got the keys to a new space – Studio #7 at The Banff Centre where I’ll be working on seven complex paintings for the next seven weeks for the Gwaii Haanas and final CAMP exhibitions. I’ve had them brewing in my mind, but they were not yet crystal clear. I’ll admit I’ve been excited about embarking on the challenge, but also challenged…by the creative challenge itself. Today, when the doors opened into whiteness with a few old pieces of furniture, it was akin to a deep meditation that allowed me to see things differently and to focus my thoughts for the upcoming residency. It was fast – within a half an hour of just sitting within the white walls of the studio, I could actually SEE what the paintings were going to be, my angst disappeared and the solutions presented themselves. Working on some complex issues with education and the arts over the past week has been exhausting and a big learning curve – lots of new information peppered with high emotions on all sides. People are fearful of change and upsetting the status quo. Filtering through the rhetoric, politics and individual agendas has been like taking some whitewash to an old fence and wiping away the dirt. There’s a lot of dirt on THAT fence, but it’s clear to me that there are solutions when you scrub hard enough. Some folks don’t like me scrubbing that hard, but I’m determined to ensure there is success. Solutions like this require everyone coming to the table with an honest desire to make things better for the future – laying aside party politics and jurisdiction in order to truly innovate in a clean space. Find that creative solution to the blank canvas of complexity. It’s the same when you create a painting – you follow and act according to the Seven Grandfather Teachings of the Anishnabe. Zaagi’idiwin—Love: To know Love is to know peace. Love must be unconditional. When people are weak they need love the most. In the Anishinaabe language, this word with the reciprocal theme /idi/ indicates that this form of love is mutual. In some communities, Gizhaawenidiwin is used, which in most context means “jealousy” but in this context is translated as either “love” or “zeal”. Again, the reciprocal theme /idi/ indicates that this form of love is mutual. Minaadendamowin—Respect: To honor all creation is to have Respect. All of creation should be treated with respect. You must give respect if you wish to be respected. Some communities instead use Ozhibwaadenindiwin or Manazoonidiwin. Aakode’ewin—Bravery: Bravery is to face the foe with integrity. In the Anishinaabe language, this word literally means “state of having a fearless heart.” To do what is right even when the consequences are unpleasant. Some communities instead use eitherZoongadikiwin (“state of having a strong casing”) or Zoongide’ewin (“state of having a strong heart”). 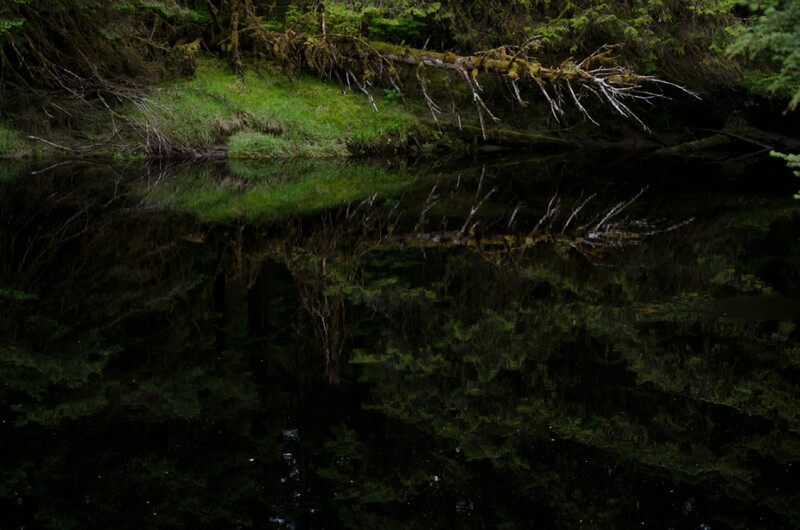 “Corpse of The Golden Spruce” – Yakoun River, Port Clements, Haida Gwaii. The last of it’s species. 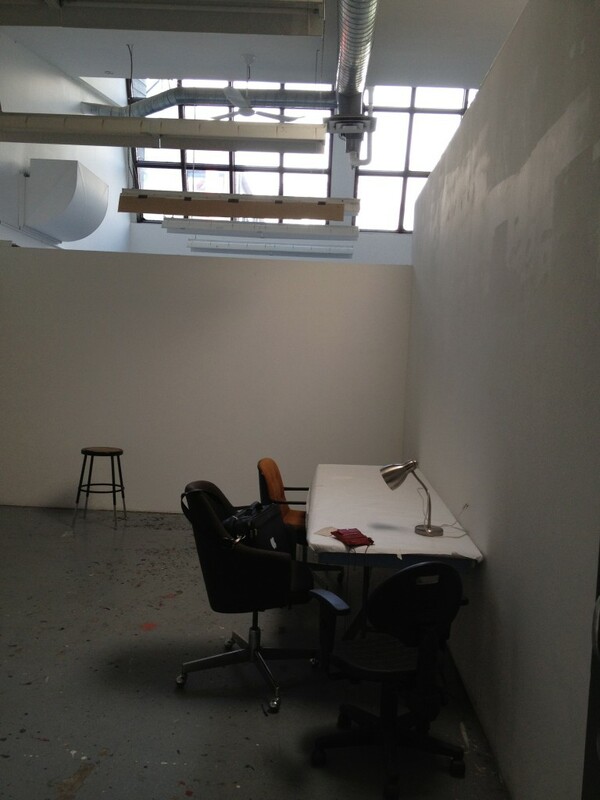 Lucky Studio #7 for 7 weeks…on 7 paintings with the 7 Grandfather Teachings? Four groups of 7?…I think it’s a sign.